Rosarito Industries - Rosarito Industries Corp. Call the Aircon, Computer & Eletronics Expert now! The Expert in Air-conditioning, Computer & Eletronics Repair Services. ROSARITO INDUSTRIES CORP. is a fast growing firm that provides a wide variety of engineering services for Aircon Cleaning, Aircon Repair / Aircon Installation and Computer Repair , Laptop Repair / Smartphone Repair / LED and LCD TV Repair to residential, commercial and industrial customers. Owned and operated by a Certified and Licensed Engineers to ensure Reliable Service with Immediate action to all issues and has Confidence to meet or exceed the client’s expectations. Accept repair service to Window Type, Split Type, Floor Mounted Type, Ceiling Mounted Type, Ceiling Suspended Type etc. 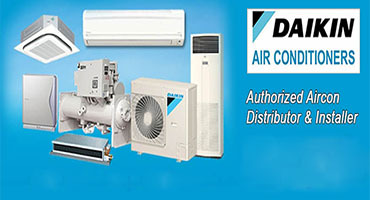 We supply Aircon with Free Installation! 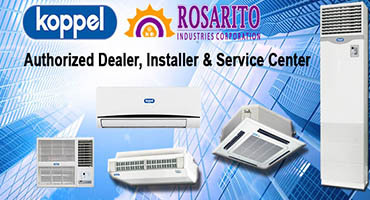 Brand New Airconditioning units are available in Rosarito Industries essential for your Residential / Commercial or Industrial cooling requirement. 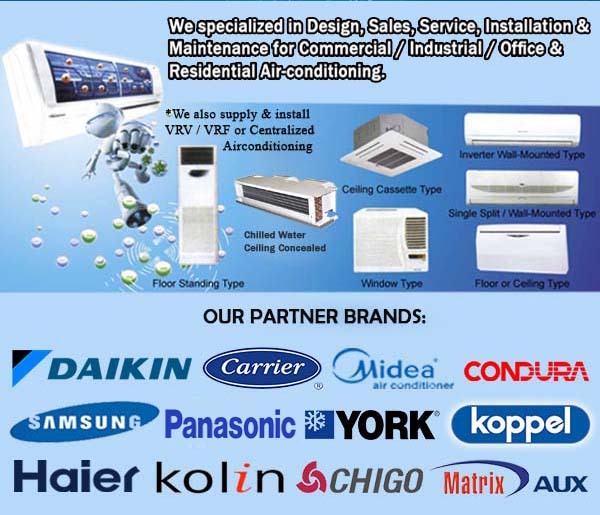 Available Aircon Brands: DAIKIN, CARRIER, CONDURA MIDEA, GREE, HAIER, SAMSUNG, KOPPEL, KOLIN, YORK, MATRIX, PANASONIC and other Aircon brands (Window Type, Split Type & Commercial Air-conditioning Equipment such as VRV System & FCU). With FREE INSTALLATION first 10ft. copper piping. 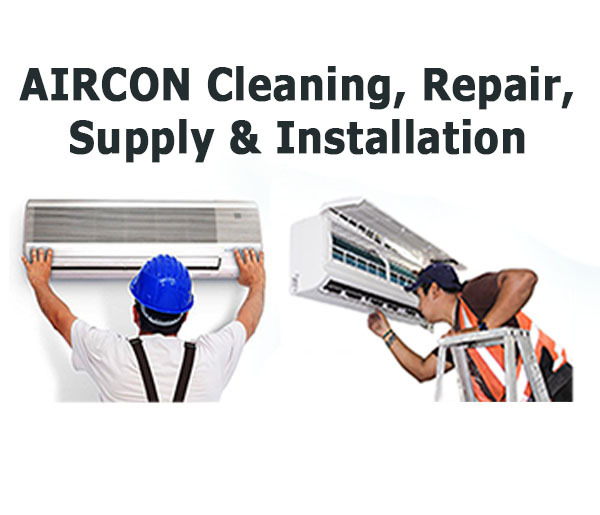 We also offers MECHANICAL Works from Design, estimates, installation, repair and preventive maintenance of air-conditioning, fabrication, duct works and ventilation works for residential, commercial and industrial applications. Choose the services you need right now! Our company is backed by a strong team of Engineers who align themselves with a state-of-the-art combination of Electrical & Electronics Computer Engineering. 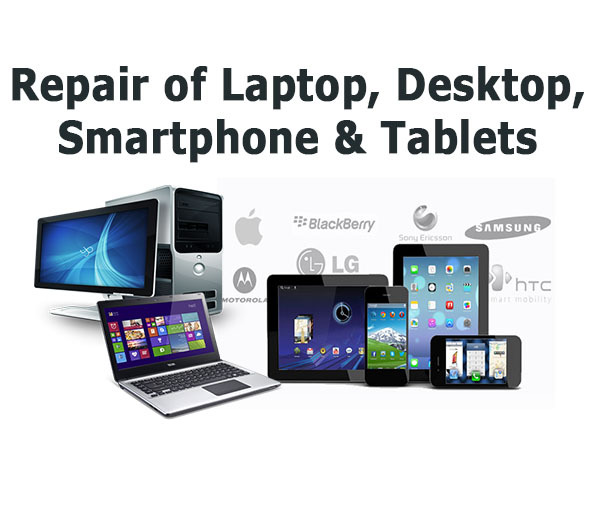 We offer FREE professional advice to your situation whether it is about Room Air conditioning or PC/Laptop Repair. We also ensure to go beyond the call of duty to deliver results. Our staff are dedicated and skilled in engineering industry to guarantee QUALITY SERVICE to our customers. Our goal is to make our customers happy and be satisfied with our services at an affordable & reasonable price! Thank you to our amazing customers for giving us a great opportunity to service you. It is our desire to keep you satisfied with our services and products. You are our inspiration in doing our very best. Thank you and remember; we value you! CLICK THIS TO SEE THE PARTIAL LIST OF OUR CLIENTS. OPEN THIS LINK FOR THE UPDATED CLIENT TESTIMONIALS. It is great to be in a company of good people. I have been accorded respect, courtesy and good service by Kingjerr of RES. Good service includes great discount. He was able to repair my Dell Enterprise Edition Lattitude laptop in a jiffy. Tried and tested on separate jobs (a/c cleaning and electronic equipment repair). Very courteous, patient to questions and reliable! Worth the trust! Thanks so much Rosarito Engineering for installing my daughter’s aircon. Highly recommended po sila. Very precise with their work and also patient in answering my concerns. Shoutout lang po para kay Sir Jerry Rosarito of RES. Salamat po sa pag service po ng aming aircon. Super bilis at napakalinis at pulido. Thank you po ulit. Sulit ang bayad niyo. Salamat Boss Jerry Rosarito of Rosarito Engineering Services! Pulido gumawa at value for money service. Sa uulitin. GOD Bless! Highly recommended Kingjerr Rosarito of RES fro computer repairs. Ginawa nila dalawang laptop ko for 30 minutes lang today parang magic tapos na agad. Ang galing! Good service and affordable price po. Thanks Sir! I highly recommend Kingjerr of Rosarito Engineering. If you have broken Iphone and the like– he really knows how to fix it. My phone had been broken for several months and I tried other technicians but failed to fixed it. Yesterday, I brought it to them in the afternoon & was fixed already by night. WOW! super fast 🙂 and most importantly with very reasonable price & warranty. Shout out to Sir Kingjerr of Rosarito Engineering for repairing my CPU. Two thumbs up! Very efficient! Highly recommended! ‘been working with customer service industry for several years and I must say that Rosarito Engineering Services did an excellent job. We were very satisfied with the service from Day 1 (onsite visit/estimate). Nagrereply agad sa lahat ng mga inquiries. Napaka-friendly, skilled at walang reklamo ng tao nila kahit pang 10 na yata kami na sinervice for that day. We will surely recommend Rosarito Engineering to our friends. Thanks again Rosarito Engineering.